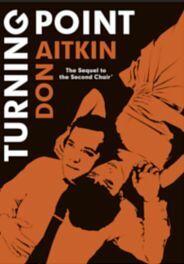 Please join us for the launch of Turning Point by Don Aitkin. The book will be launched by Professor Satendra Nandan. In 1977, Angus & Robertson, then the grandfather of Australian publishers, brought out a novel by a young professor at Macquarie University, Don Aitkin, well known as a political scientist, an election-night and political commentator on television and the writer of a weekly commentary on Australian life in the National Times. The Second Chair told the story of the struggle another young professor, Richard Hogarth, at another young university, had in securing the appointment of a new professor — the ‘second chair’ in his department. All sorts of things go wrong. ASIO declares an interest in one of his principal candidates, while heavies within the university try to secure the appointment for their own purposes. And the professor’s marriage begins to crumble, as he commences a relationship with the wife of another staff member. The politics of the day, the early 1960s, ran through the story. Kennedy had yet to be assassinated, but the Cold War breathed over the appointment process, as another prime candidate saw Australia as a refuge from a coming nuclear holocaust. Hogarth discovered that he had to learn the arts of electoral politics to get vital votes at the Council meeting that would determine the outcome. In the end he won the battle but lost the war. Don Aitkin saw The Second Chair as the first novel in a trilogy that would illuminate the Australia of the 1960s, when innocence and optimism fell before the divisiveness of the Vietnam War. But a full workload and a series of senior appointments put off the day when he could turn to the second and third novels in the series. Turning Point is the long-awaited sequel to The Second Chair. It starts with a dinner party after the federal elections of 1963. John Kennedy has been assassinated, the Menzies Government has been returned easily, and one of Hogarth’s friends is waiting to see whether or not he will be in the Ministry. Hogarth is offered the Deanship of his faculty, a job he doesn’t really want but is nonetheless attracted to. Before he makes his decision he attends the funeral of a family friend, and the death of that woman progressively unlocks an extraordinary story of the war, and of his father’s role in it. His MP friend is the conduit to a position with a Select Committee investigating the appalling industrial strife at a munitions factory, and that brings him to Canberra and the highly charged life of the Federal Parliament, where he meets another strong and attractive woman. The war in Vietnam is now drawing Australia into its chaos, and Hogarth sees something of the intrigues and machinations that occur when high policy is being decided. The competing demands of family, marriage, politics and principle are the themes of this most readable novel. RSVP: Email info@paperchainbookstore.com.au or telephone 02 6295 6723.